Oh, sure, other controllers may be sleek and compact. They may have spacious, easy-to-hit controls. But if “pushing buttons” has been controversial, well… some DJs want more buttons to push. Some want something a little over the top. Meet the 4MidiLoop 4TrackTrigger. It’s nothing if not a maximalist DJ controller. 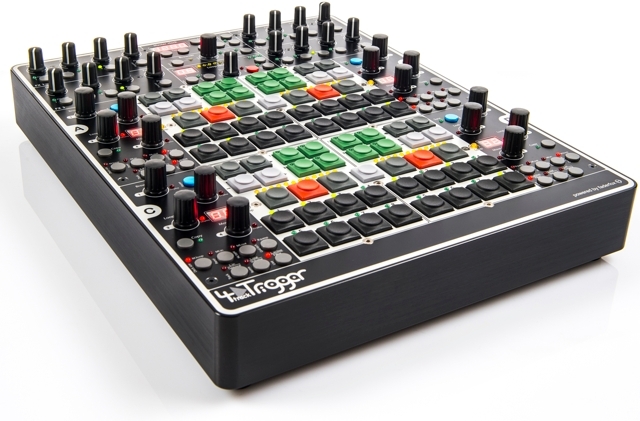 And with a build from one of our favorite makers, Germany’s Faderfox, and design for the latest version of Traktor (2.5) via Switzerland’s Glanzmann Digital DJ Solutions, it’s something else, too. 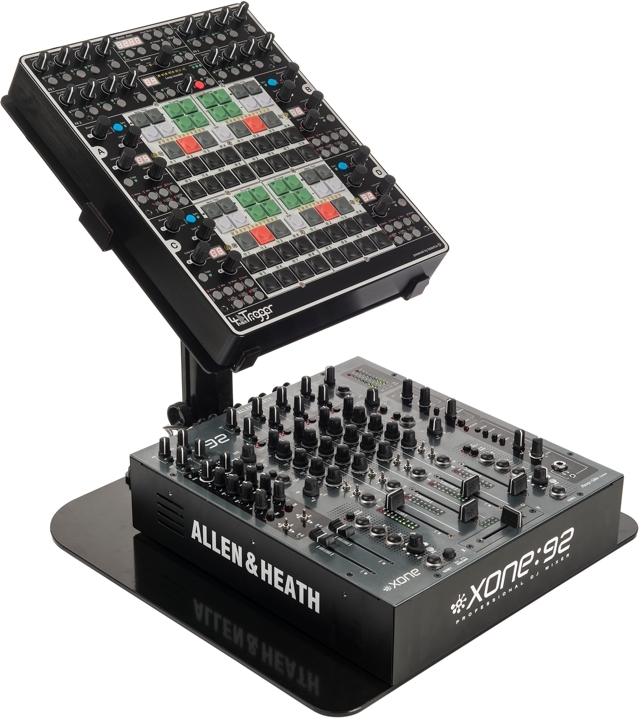 It’s the DJ controller you’d absolutely want to take with you to your secret DJ lair in your secluded castle. I’m happy to just marvel at this thing as a wonder of the modern controller world. Two features worth highlighting are the centred key-array with 78 multicoloured buttons and the 4 extra long LED-bars. It is pure pleasure to trigger hot cues, start samples and to activate effects with the precise buttons. No imprecise feeling compared to all the other rubber keys out there but a controllable behaviour with excellent response. In addition the precise catching encoders allow the fastest possible access to functions such as browse, seek, loop-size and loop-move. Needless to say it is that exactly these features which are essential for a modern Digital-DJ. 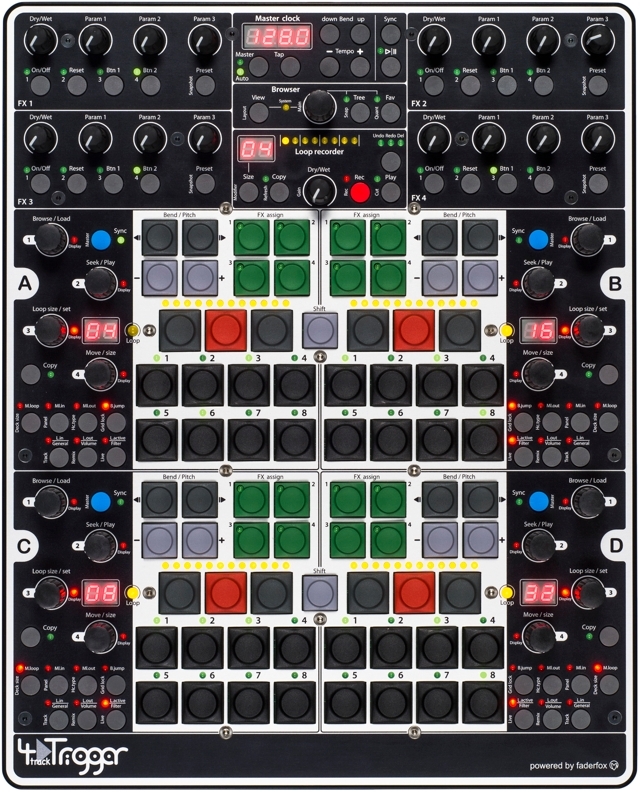 Of course we have built in the well-proven FX department with a simultaneous control for all 4 FX-slots. They come with 16 dedicated potentiometers and 20 buttons. On top of that we have the Master Clock and the Loop Recorder sections which are fitted with luxury display LED bars and all necessary functions in order to make all Traktor departments easy accessible. What’s a luxury display LED? No idea. 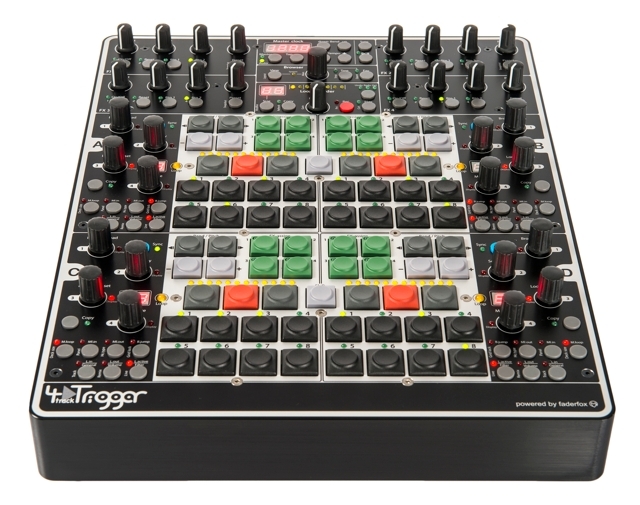 But based on the build of other Faderfox gear, and the sheer number of controls (trust me, prices add up), I’d say that pricetag sounds about right. Handmade in Switzerland and Germany. different functions and subsequently also different commands in the Remix- and Track Deck modes. LED-Bars in the Key-Array – In the Remix Deck mode all LEDs light up for Play of a Remix Deck. Hotcue-LEDs – In the Remix Deck mode the LEDs 1 – 4 show an occupied slot in the loop mode. A lighting LED 5–8 shows an occupied slot in the One-Shot mode. Blinking LEDs show a running and un-muted slot. Deck-Displays – In the Remix-Deck “General Mode“ the loop size is always shown, unless the Move / Size Encoder is pressed, whereby the indication switches between the Move-Size (Encoder 4) and Loop-Size (Encoder 3). The red LEDs next to the encoders show which parameter is presently on the display. The loop lengths and move lengths are indicated directly. The decimal points serve as dividers for the indications. In the Remix-Deck “Volume Mode” and “Filter Mode” the adjusted value from 0 – 99 respective +/-99 is indicated for encoders 1 – 4. The decimal points serve as minus sign for the filter indications.